A professional makeup brand for over 30 years, MAKE UP FOR EVER offers foundations for all skin types and needs. Originally created for use on photo shoots to even out skin and provide a flawless matte finish, MAT VELVET + is now beloved by both makeup artists and women worldwide and one of the brand’s best-selling products. Thanks to the strong relationship with backstage professionals and an understanding of their ever-evolving needs, MAKE UP FOR EVER is constantly perfecting its products. This year, the brand presents MATTE VELVET SKIN, the next generation of long-lasting matte, which introduces new textures and high-performing formulas that offer full coverage, withstands extreme wear, and produces a non-cakey finish. With the new MATTE VELVET SKIN products, coverage and comfort are no longer mutually exclusive, as their ultra-blendable, easy-to-use formulas let you quickly achieve the coverage you need. Whether you’re seeking medium- or high-coverage, the textures build up impeccably and hide imperfections and blemishes. Apart from the brand’s exclusive FLEXI-FIT innovation that adapts to facial movements and thus minimise caking, the foundation sits like a second skin so you won’t even feel like you’re wearing makeup. MAKE UP FOR EVER teamed up with celebrity makeup artist Etienne Ortega for the MATTE VELVET SKIN campaign. In collaboration with the brand, he created the looks on the official campaign visuals and videos. On set, Ortega appreciated MATTE VELVET SKIN’s modular texture. MAKE UP FOR EVER invites all matte lovers worldwide to join the MATTE GENERATION community using #newgenerationmatte . 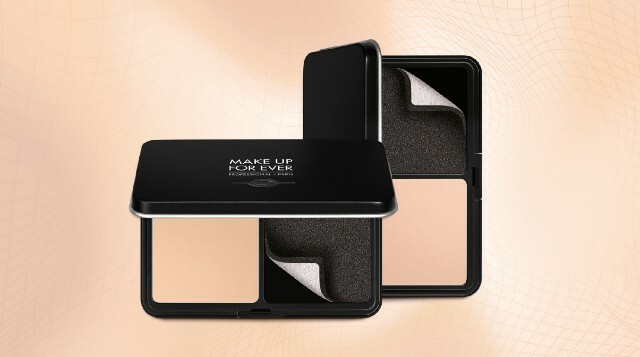 From 3 to 9 September, pick up your exclusive MUFE set at ZALORA while stocks last!